Every year I eagerly await the announcement of the Ravello Festival program, which runs from July to September in the City of Music. The Ravello Festival 2017 schedule has finally been announced! 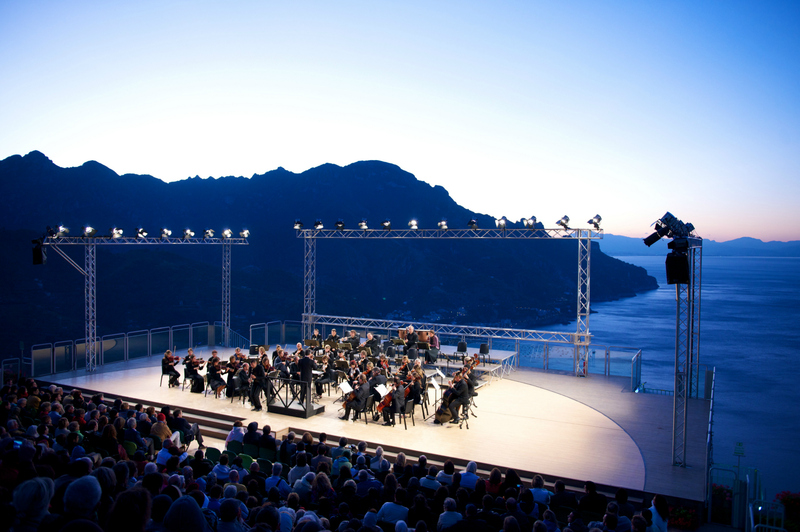 This year’s program kicks off on July 1st with Adam Fischer conducting the Hungarian Radio Symphony Orchestra in a performance of works by Wagner – representing the roots of the Ravello Festival and Wagner’s connection with Ravello. On July 2nd the festival changes gears dramatically from the historic inspiration of the festival to a night of contemporary dance, music and performance with noted Italian artist Francesco Clemente. This is sure to be an intriguing artistic evening in Ravello! There will also be an exhibit of Clemente’s work on display at the Villa Rufolo from July 2nd – September 30th. Keeping with tradition, this year’s Ravello Festival presents a mix of performances in genres ranging from classical to opera, jazz and contemporary Italian and international musicians. Dance lovers will find some excellent shows to choose from, including the Stars of the American Ballet and Les Italiens de l’Opéra de Paris. Highlights of this year’s program are Dianne Reeves on July 5th, Philip Glass on July 14th, the Wayne Shorter Quartet on July 16th, Antonello Venditti on August 4th and the traditional Concert at Dawn on August 11th. You can book your tickets for the Ravello Festival 2017 at the online Box Office. If there’s a concert that catches your eye, it’s a good idea to book well in advance. Also, a ticket buying tip: For inclement weather, the concerts can be moved from the Villa Rufolo gardens to the nearby Auditorium Oscar Niemeyer. However, since the space is more limited, only people with tickets in rows A, B, C, D, E, F e G will be allowed in. All other tickets are reimbursed. So if there’s a show you absolutely don’t want to miss, make sure to get a ticket in rows A to G.
Will you be seeing a show at the Ravello Festival this year? I’d love to hear which one! 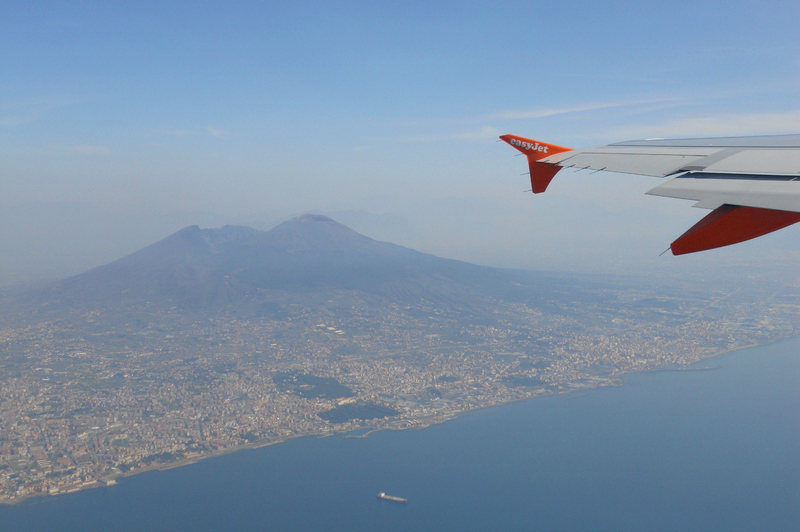 Planning a trip to the Amalfi Coast and flying into the Naples Airport? Then I have some good news for you! There’s a new bus service that goes direct from the Naples Capodichino Airport to multiple destinations on the Amalfi Coast. And it only costs €15 per person! 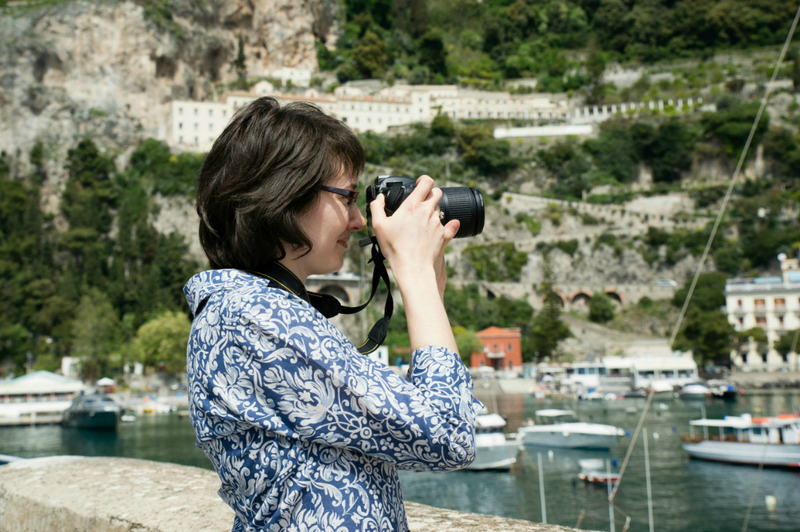 Reaching the Amalfi Coast by public bus has always been a bit of an adventure. It was hard for me to even recommend that as an option for travelers, especially if they didn’t speak Italian. 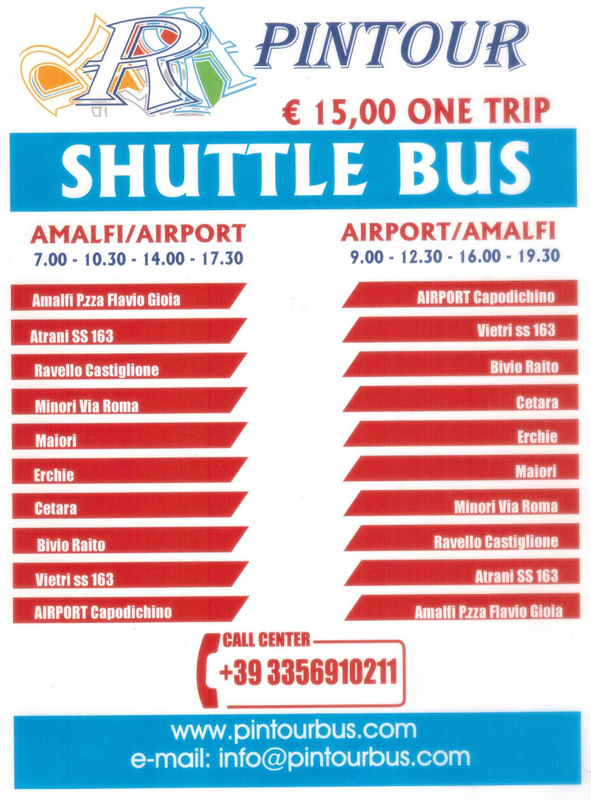 Thankfully, Pintour has launched a new bus service the connects the Naples Airport with all of the towns on the Amalfi Coast from Vietri sul Mare to Amalfi. That includes stops at Vietri sul Mare, Raito, Cetara, Erchie, Maiori, Minori, Castiglione (where you would get off to catch a local bus up to Ravello), Atrani and Amalfi. There are four departure times from the Naples Airport (9:00, 12:30, 16:00, 19.30) and four departure times from Amalfi (7:00, 10:30, 14:00, 17.30). The journey takes about 2 hours each way. Tickets cost €15 per person (€10 for kids under 12) each way, and can be purchased online here. For exact departure times from each stop along the way, check out the schedules below. Note: I’m looking forward to trying out this bus service to the Naples Airport, but I haven’t used it yet personally. So for any additional questions on schedules or tickets, please contact Pintour here.